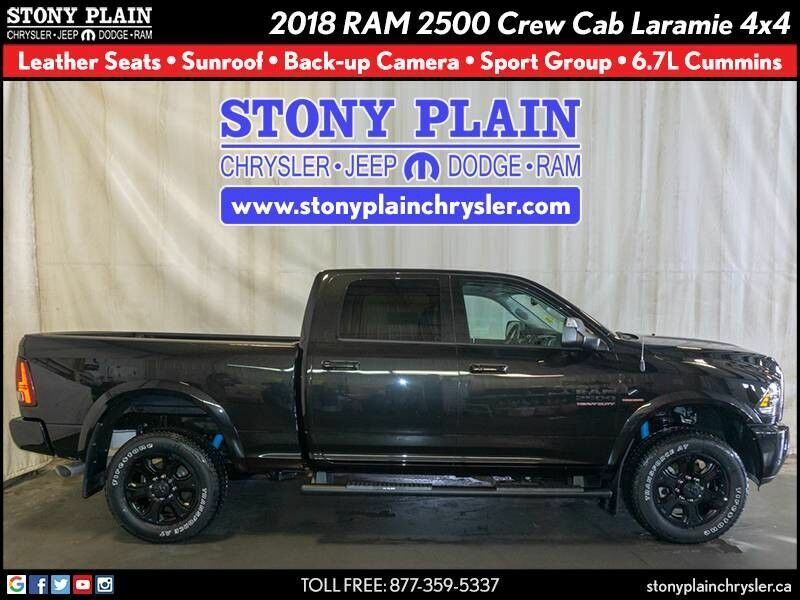 Contact Stony Plain Chrysler today for information on dozens of vehicles like this 2018 RAM 2500 Crew Cab Laramie 4X4 Pickup Truck. Pull up in the vehicle and the valet will want to parked on the front row. This RAM 2500 is the vehicle others dream to own. Don't miss your chance to make it your new ride. This 4WD-equipped vehicle will handle beautifully on any terrain and in any weather condition your may find yourself in. 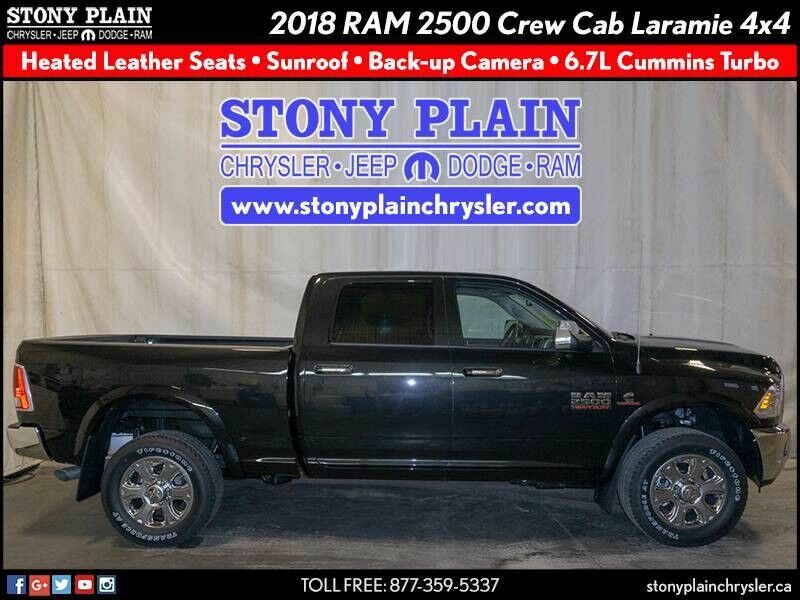 The benefits of driving a 4 wheel drive vehicle, such as this RAM 2500 Laramie, include superior acceleration, improved steering, and increased traction and stability. Added comfort with contemporary style is the leather interior to heighten the quality and craftsmanship for the RAM 2500. Put away your phone and focus on the road, your new vehicle has navigation.